Yes — this is the North American version of the Hyundai Kona Electric with a 250 mile (~400 km) of range — this exceeds the range of any non-luxury EV present or upcoming in 2018-19 including the Tesla Model 3 (220 mile for base model). 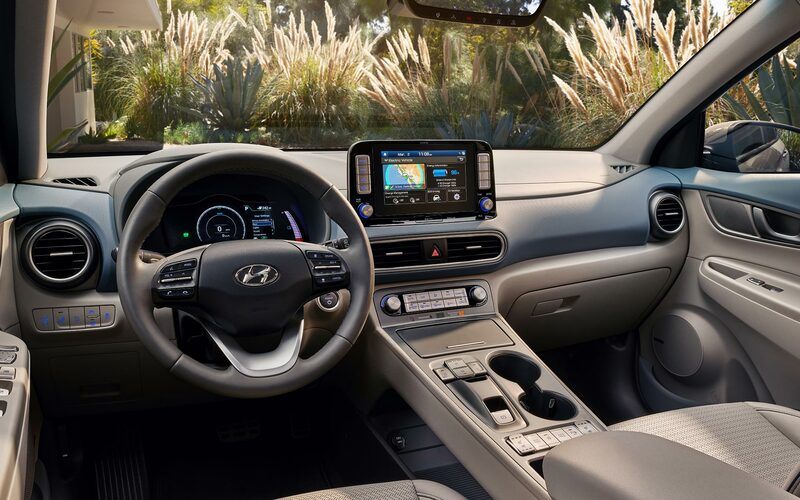 The debut of the Kona Electric streamed live (video below) from the 2018 New York International Auto Show‘s fifth day (yesterday) where Hyundai also launched new models of their Santa FE and Tucson crossovers. 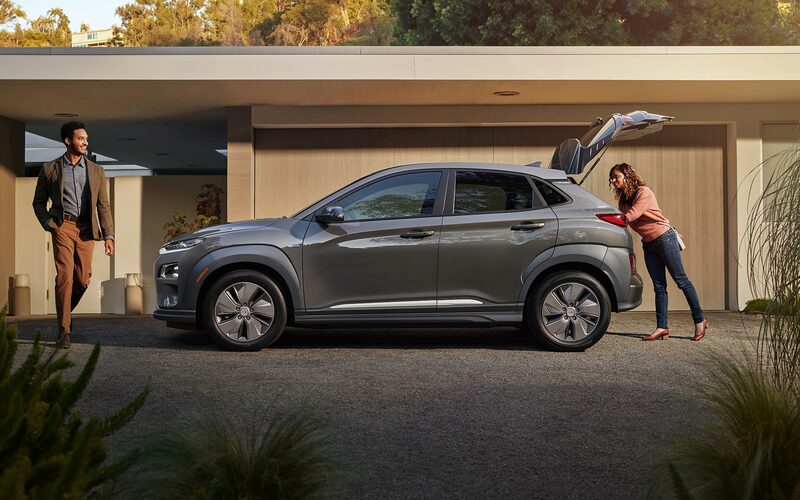 The Kona Electric and other vehicles present at the show are part of an 8 compact SUV (Sport Utility Vehicle) roster that Hyundai is willing to launch by the end of 2018. 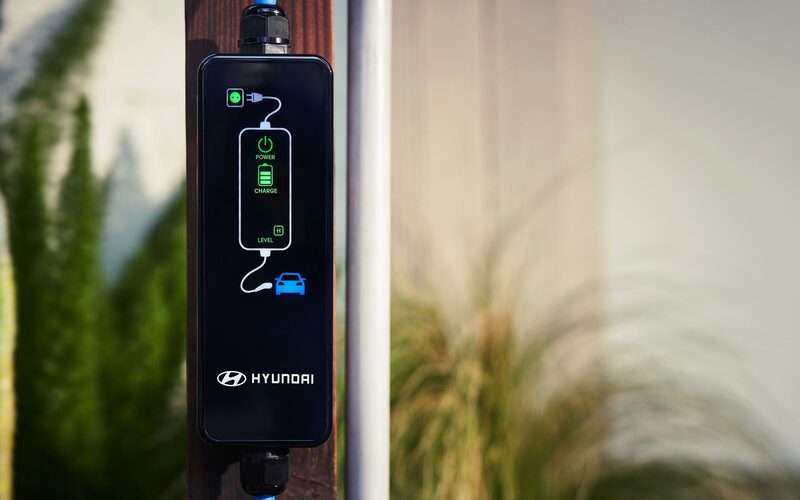 Apart from the leading range in it’s class the compact electric SUV also comes standard with DC fast charging but Hyundai did not mention how much time it would take the vehicle to reach at least 0-80% charge on a DC fast charger. 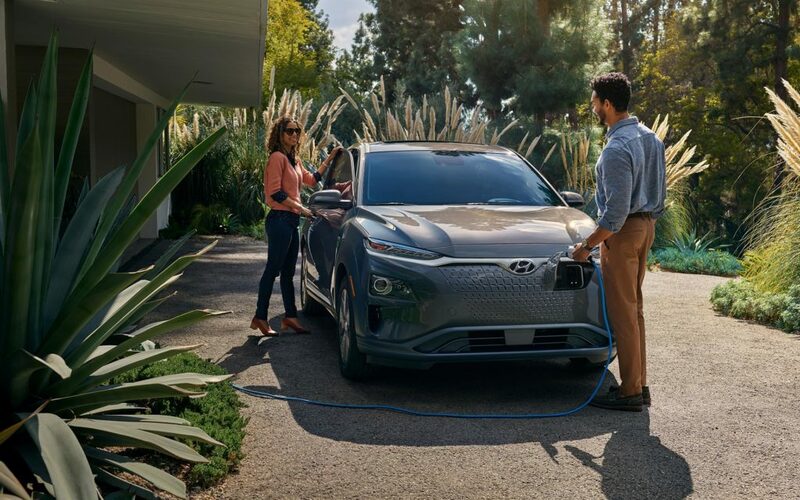 Also there was no mention of a public way to fast charge the Kona EV (image gallery at the end of the post) — maybe they have a plan since the vehicle goes on sale fall of 2018. Hyundai might have gotten rid of the ‘range anxiety’ but there is another anxiety related to EVs ‘the fast charging anxiety’ — this is where Tesla has the upper hand. The European version of the Kona Electric has two variants — Long Range variant with a 470 km (292 miles) of range and a base model with a 300 km (186 miles) of range having 64 kWh and 39 kWh battery packs respectively. The battery pack size of the North American version seems to site between the above two. The presentation and press release doesn’t mention the size of the battery pack but just the range and this has also been the case with Tesla Model 3 launch last year. The increased range of the electric CUV from Hyundai also seems to benefit from low drag co-efficient of only 0.29cD with the help of the ‘eco Sport’ wheels. Hyundai surely has gained and edge in terms of range over the more traditional EVs like the Chevy Bolt and Nissan Leaf but the vehicle needs to stand the test of reality as it goes on sale later this year. Related: Explore the detailed 2019 Hyundai Kona Electric specs, battery pack and HD photos.